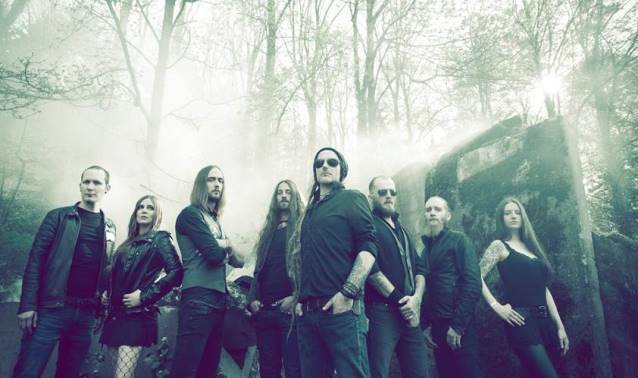 "King", the new video from Swiss folk metallers ELUVEITIE, can be seen below. The song is taken from the band's new album, "Origins", which will be released on August 5 via Nuclear Blast Records. The cover artwork for the CD was created by ELUVEITIE frontman Chrigel Glanzmann and can be seen below. The effort was once again recorded at New Sound Studio in Pfäffikon, a municipality in the canton of Zurich in Switzerland, with producer Tommy Vetterli (a.k.a. Tommy T. Baron; CORONER/ex-KREATOR guitarist). Says Chrigel: "'Origins' deals in depth with Celtic mythology, or, to be more precise, with aetiological tales from Gaul in particular. Hence we're facing strongly mythical as well as spiritual subjects on this album, topics which we have approached very scientifically and in cooperation with several scientists and diverse universities. "Many aspects of Gaulish mythology and spirituality remain in the dark nonetheless, while others run through the theme like a golden thread — like this eminent, yet innominate god, for instance, of which the Gauls claimed to be direct descendants and which was compared to the Roman chtonic deity Dis Pater. "Today we cannot say which Gaulish god this was exactly. But according to all we know, it's likely that we're dealing with Sucellos here. Throughout space and time he appears over and over again — from very old spiritual customs of ancient Gaulish tribes in today's northern Spain all the way to later statues in today's Switzerland, France and elsewhere. Perhaps he is this mysterious nameless one. "The album cover of 'Origins' is designed after the hammer/club-shaped 'halo' of Sucellos, as seen on a statue, that was found in a shrine of a gallo-roman household in today's France. It was created under the scientific supervision of experts from the university of Zürich." ELUVEITIE recently announced the addition of violinist Nicole Ansperger to the group's ranks. 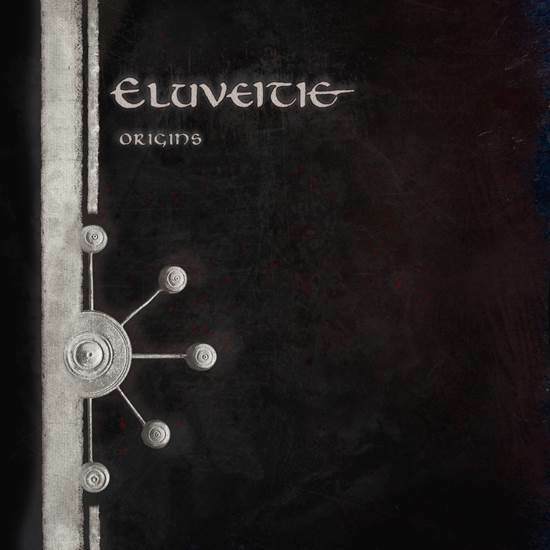 ELUVEITIE's last album, "Helvetios", sold 4,200 copies in the United States in its first week of release to debut at position No. 143 on The Billboard 200 chart. The CD landed at position No. 3 on the Top New Artist Albums (Heatseekers) chart, which lists the best-selling albums by new and developing artists, defined as those who have never appeared in the Top 100 of The Billboard 200.